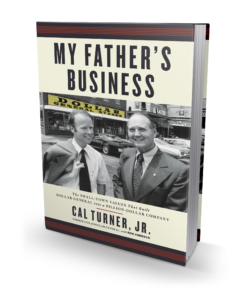 Longtime Dollar General CEO Cal Turner, Jr. shares his extraordinary life as heir to the company founded by his father, Cal Turner, Sr., and his grandfather, a dirt farmer turned Depression-era entrepreneur. Cal’s narrative is at its heart a father-son story, from his childhood in Scottsville, Kentucky, where business and family were one, to the triumph of reaching the Fortune 300—at the cost of risking that very father/son relationship. Cal shares how the small-town values with which he was raised helped him guide Dollar General from family enterprise to national powerhouse. Chronicling three generations of a successful family with very different leadership styles, Cal Jr. shares a wealth of wisdom from a lifetime on the entrepreneurial front lines. He shows how his grandfather turned a third-grade education into an asset for success. He reveals how his driven father hatched the game-changing dollar price point strategy and why it worked. And he explains how he found his own leadership style when he took his place at the helm—values-based, people-oriented, and pragmatic. Cal’s story provides a riveting look at the family love and drama behind Dollar General’s spectacular rise, pays homage to the working-class people whose no-frills needs helped determine its rock-bottom prices, and shares the life and lessons of one of America’s most compelling business leaders. 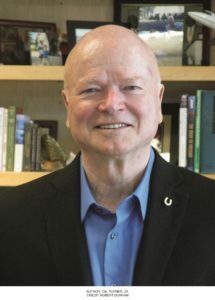 Rob Simbeck is a writer and editor of over 20 books. He was ghostwriter of Cal Turner’s first book, co-written with Howard Olds, Led To Follow.